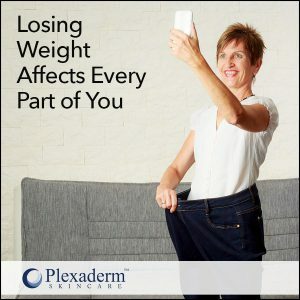 Plexaderm Blog - Has Weight Loss Ruined Your Face? Has Weight Loss Ruined Your Face? Believe it or not warmer weather is right around the corner. Are you ready? Have you made a dent in your weight loss goals? Or, maybe, you’re far along with your 2018 weight loss. Great, give yourself a big pat on the back! But, what about your face? Does your fitness regimen include your facial and neck muscles? Many times, dramatic weight loss has a dramatic effect on your face. Unfortunately, not always a positive one. Weight loss is a huge achievement, but often the quick loss of fat results in saggy skin. And how awful that it presents itself in your face. According to research, there are several approaches to tighten those stretched out jowls including facial exercises. These exercises include applying pressure to the face with special finger placement and holding in place to lift brows and sculpt and lift cheeks. While on the subject of extreme weight loss and the effects left on the face, here is an extraordinary story from a gentlemen who lost a considerable amount of weight and found himself left with under-eye puffiness and sagging skin. Read Gordon’s story and how he found a miracle with Plexaderm. So, by all means, continue on with your fitness goals. Be sure to include a full body routine that includes your face! 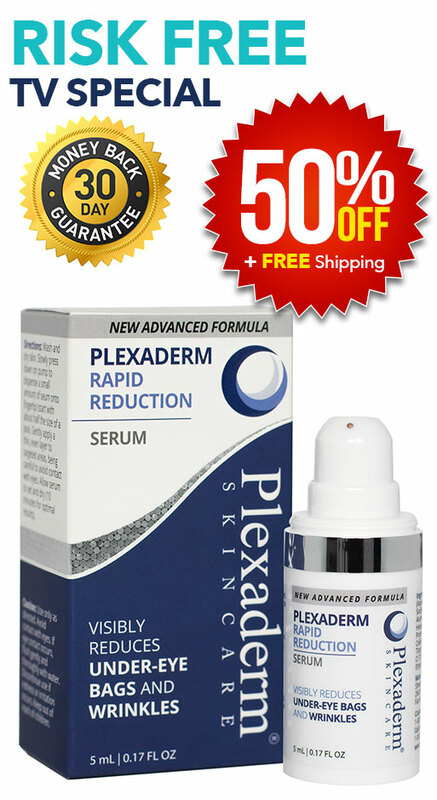 And for those days when you need a little extra help with wrinkles, fine lines and under-eye bags consider a little Plexaderm.